Country Navigator enables global workers to understand culture and adapt their working style to build a more inclusive and collaborative business environment. Country Navigator’s powerful portfolio of tools enables individuals and teams to thrive by providing a validated and structured approach focused on each user’s unique attributes. Access in-depth information and expert advice for 100 key international business destinations, with insider tips to build relationships and secure deals around the globe. Access structured country learning paths to explore a specific culture of interest through a variety of learning assets including videos, tips and quizzes. 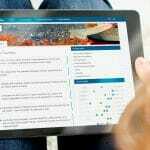 Access a wide range of integrated learning tools, resources and courses from within the Country Navigator tool, on your desktop, online or via your mobile device. Develop cultural understanding through structured learning paths and access advice based on your professional needs as a leader, manager or global team worker. Request a demo of Country Navigator for your organization now! Effective learning assets for developing cultural understanding. If you’re working in a fast-paced, global business, no doubt you are attracting talent from all over the world. A diverse workforce can be a competitive advantage, but only when your people are armed with the right tools to understand cultural perspectives and expectations. Each culture has a unique approach to communication, teamwork, problem-solving, decision making and leadership. When these views aren’t appreciated in the workplace issues can arise, including miscommunication, missed deadlines, inefficiencies, and even conflict. 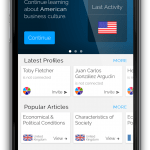 Country Navigator allows global leaders, managers, and individuals to understand and leverage cultural differences, creating more productivity and breakthrough collaboration.